Good weather on my birthday! Though the weather has been terrible in Falun this summer, nature is giving me a birthday present. 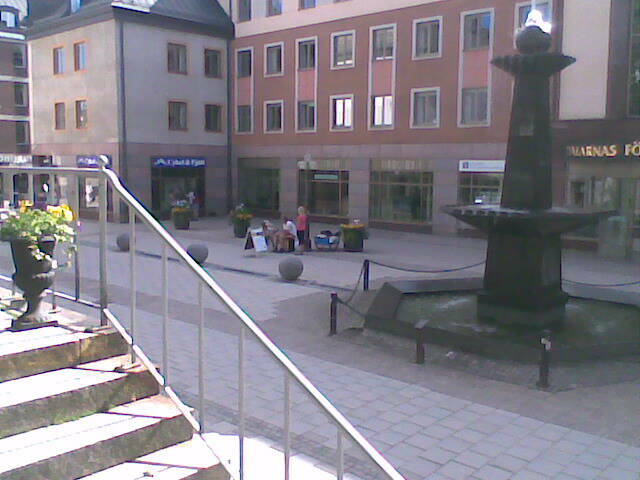 Sitting in downtown Falun, drinking Swedish cider, which is so sweet I can only bear it on a hot summer day, listening to these great teenage street musicians who don’t even have a hat out because they are COMMISSIONED BY THE LOCAL GOVERNMENT. Ah Sweden.